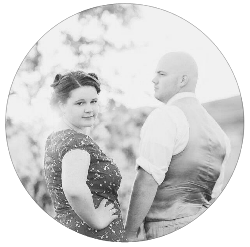 Thursday August 13th was our 5 year wedding anniversary! I can hardly believe it. It certainly does not feel like it's been 5 years. I am so grateful for my Bear. I am so blessed to have such a loving, thoughtful, hardworking man by my side. I am so grateful for all the fun times we have together, just the two of us. I never would have thought that we would live in the greater DC area, and have been able to visit 7 states just in the span of a year, as well as visit gorgeous Florida twice (and possibly be going for a third time) in the same year! We are very blessed! I can't wait to see what more adventures the future holds for us!